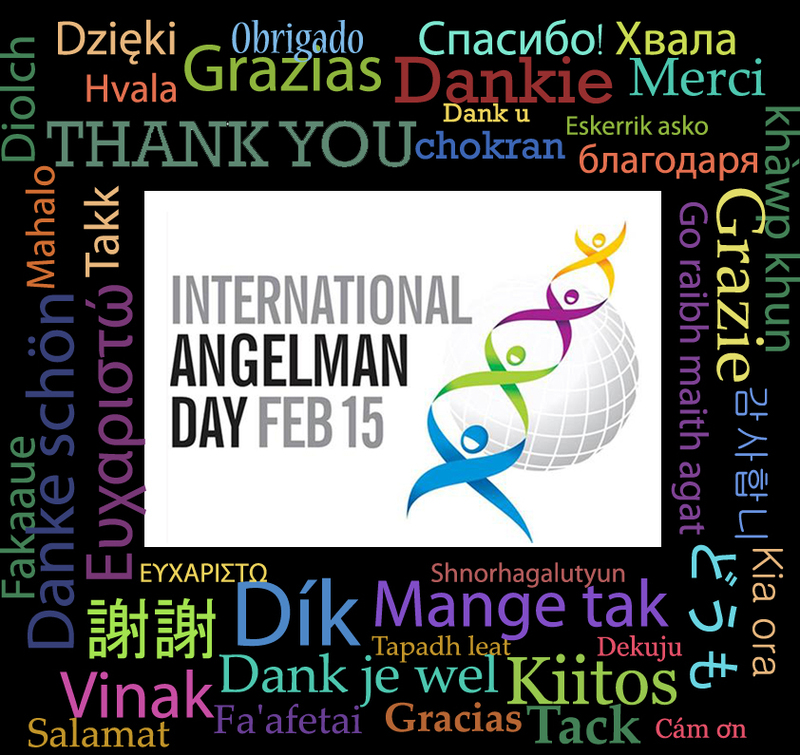 What is International Angelman Day? Welcome! International Angelman Day (IAD) is observed on the 15th February to raise awareness worldwide for Angelman Syndrome (AS). So let’s spread the word about what Angelman syndrome is! Angelman Syndrome is a rare neurogenetic disorder that affects chromosome 15, resulting in intellectual and developmental delay. It affects about 1 in 15,000 people. We celebrate this day each year on the 15th February in recognition of the 15th chromosome affected, and with February being International Rare Disease month. Families and organisations all around the world are invited to join us as we unite to commemorate this special day, each year. For ideas on how you can get involved and help raise awareness and/or funds, see here. Angelman Syndrome (AS) is a neuro-genetic disorder of Chromosome 15 that results in intellectual and developmental delay. It affects about 1 in 15,000 people of all ethnicities; males and females equally. Individuals with Angelman Syndrome are non-speakers or may speak only a few words. With the recent advantages in technology, many are now learning to use AAC to communicate. Mobility impairments are common, and in more severe cases, some use a wheelchair. Most suffer with seizures and all require life-long 24/7 care. People who have Angelman Syndrome are all unique individuals. Generally known for their wonderful smiles & warm personalities, they have the same basic wants, needs, hopes and dreams as anyone else – a need to feel loved, valued and included. Because their receptive language is typically more advanced than their expressive language, we always presume competence. Most thrive in an inclusive learning environment with appropriate supports. An exceptional gift that those with Angelman syndrome usually offer, is affection, joy and unconditional love. The condition is named after Dr Harry Angelman who was the first person to make an observational diagnosis of 3 children who displayed very similar characteristics. His medical paper was published in 1965. More on Dr Harry Angelman, HERE. International Angelman Day (IAD) is supported by over 50 Angelman organisations and interest groups from around the world. Please join us from wherever you are, to commemorate this special day and help us achieve our objectives together. Together we have a stronger voice.